Before you can lead other people through change you first need to manage and direct changes in your own behaviour. Consider two examples of change, one personal and one professional. Imagine, for instance, that you are unfit and want to get fitter and, as a leader, you want to become a more empowering leader (giving your team greater autonomy). How might you apply ‘The 5 Forces of Change’ to yourself? 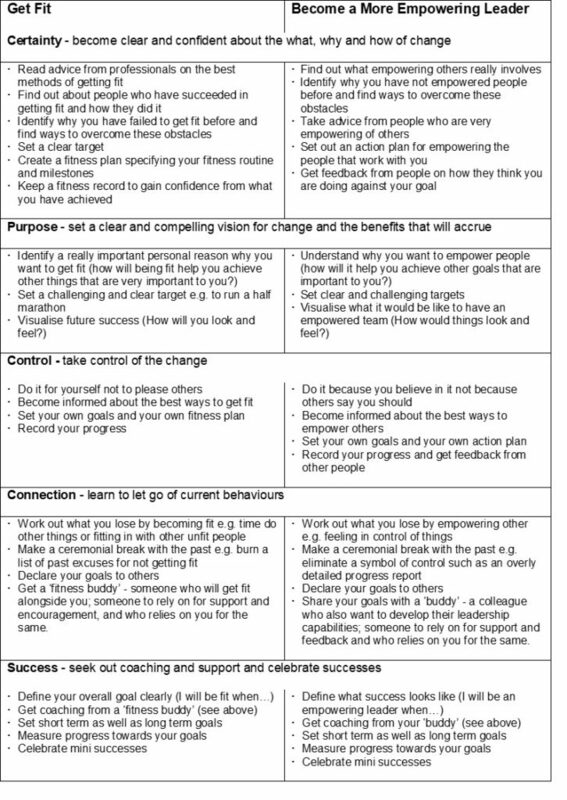 The following table sets out some actions you could take to help you achieve these two goals. As can be seen from the above table, you can use ‘The 5 Five Forces of Change’ as a framework for leading yourself more effectively to your chosen goals as well as in leading others through change.